I was intrigued when fellow foodie Valerie sent out an invite to the blogging community asking us to participate in The Canadian Food Experience Project. I like Valerie and was happy to support her project and participate! Casting my mind back to my earliest food memories, let alone Canadian food memories was an interesting task. Especially since I can’t really remember what I ate yesterday for breakfast. After a few glasses of wine hoping to invoke a sort of self-induced hypnotherapy session I cast my mind back hoping to get into the corners of my mind for a great memory. I hit a few snags in the 80’s when my diet was primarily coffee, booze, fries and gravy… but I continued on. My earliest food memories are things I was fed at lunch time when in elementary school. I went to a public school named after a great Canadian teacher named Jenny Elliott. The school is located in Calgary and was affectionately renamed Smelly Elliott by my cohorts. I was lucky to be able to go home at lunchtime and ate things like Campbell’s tomato soup, Kraft Dinner, peanut butter sandwiches, tuna sandwiches (I first wrote that as peanut butter and tuna sandwiches and could hear the puzzled Whaaaaaaat’s?, so corrected it to be precisely two DIFFERENT sandwiches served on different days). I also remember hot dogs, grilled cheese sandwiches, as well as tins of Chef-Boyardee and Alphagetti. All of these invoke memories of comfort and I still turn to these when I need some reliable, unconditional love in food form. Eventually I yellow-taped my earliest food memories from my elementary school days. Then I needed to further focus on my earliest Canadian food memory. And it was released. Back in the day I was a Brownie. I loved being a Brownie. I love the too-wit-too-wit-too-woos. I proudly wore my badges. I was solemn around the old toadstool as we pledged pledges to whomever we pledged too. I wore my tam with pride and was super excited when we went to camp. One year we were at a camp west of Calgary. The setting was perfect. Mountains, trees, hot days, our Brown and Tawny Owls were nice people. 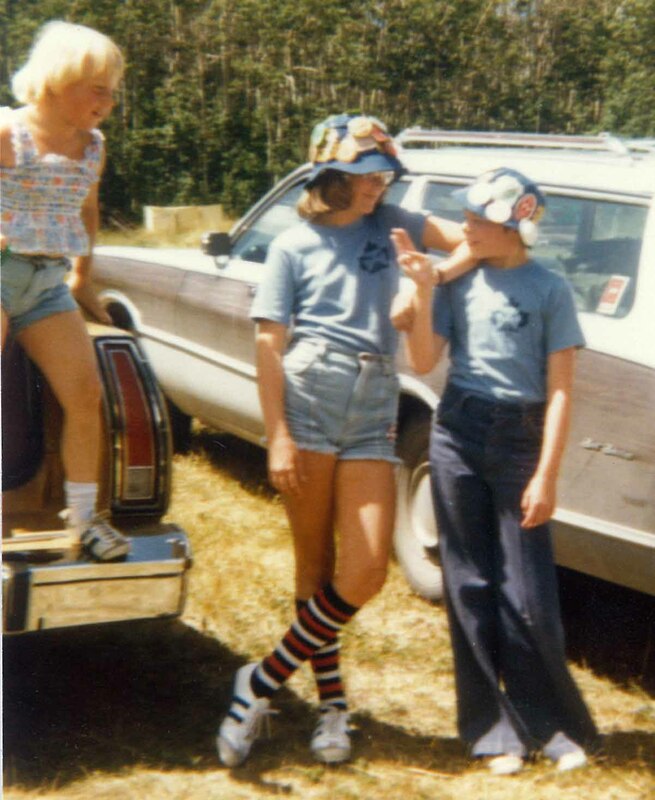 My fellow Brownies and I were all young enough that we wanted to impress our leaders and stuck to the rules. We weren’t into smoking behind the generator, smuggling vodka in our orange juice, flashing various bits of our bodies to each other, or snogging with the boys in mosquito infested bushes. That happened in other camps a few years later – and who the hell cared about food then? Those later camp years were all about fun. And fun I had. Oh ya. 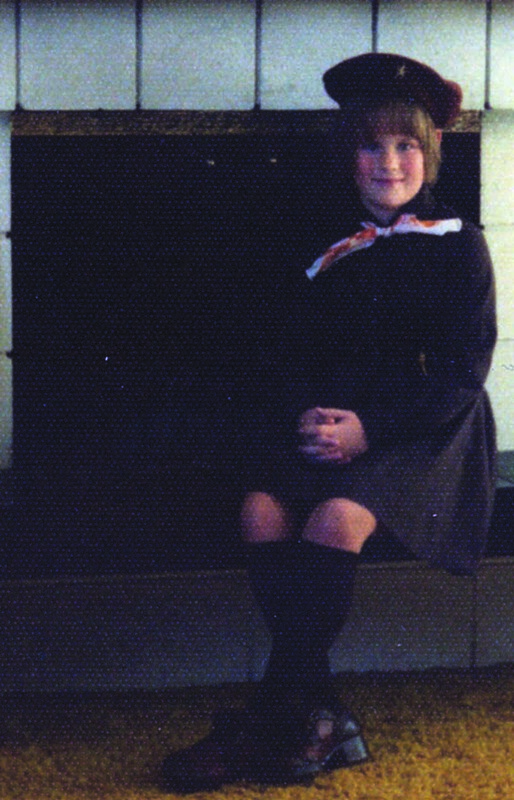 Although you probably want to hear about my naughtiness, let go back to being a Brownie. All I wanted was to be the best I could be. And that meant my sash was going to be covered with badges. My tam properly placed. My shirt buttoned and scarf tied with a proper granny knot. At this particular camp, we slept in cabins in bunk beds. I learned how to build a fire, make a splint from sticks, and how to cook on an open fire. I remember we learned how to make bannock. I don’t think anything can be more originally Canadian than bannock. Except maybe bison. Unfortunately Brown and Tawny Owls frowned on us 7 and 8 year old Brownies hunting for bison. So bannock it was. Bannock is a simple quick bread and was made by our native Canadians. Even at a tender age, I do remember wondering aloud how our native Canadians had access to Robin Hood flour sacks, salt, Crisco shortening, and baking soda. I remember getting dismissive answers. To this day I feel some people just don’t understand my questions. Once upon a time bannock was made and cooked over an open fire, but now you can get bannock deep-fried at any fair. It’s morphed into something it wasn’t. But that’s life. The recipe back in the 1970’s was this: mix flour, water, shortening, salt and baking soda in a bowl until you had a paste-like mixture. Take an 8-year-old child’s handful of the stuff and form it on the end of a green stick until you have a doughy looking blob. Then, with exquisite patience, hold the dough over an open fire until it looks like it is cooked. I remember being proud that I didn’t lose my dough ball in the fire. I remember carefully pulling it off the stick onto a paper plate, admiring the charred exterior and gooey underdone interior. Understand this: at age 8, my experience with cooking things over the fire by that point in my life was limited to marshmallows and hotdogs. Both of which I ate charred on the exterior, and underdone on the inside. Still do. After admiring my handiwork (if they had iPhones back then I would have taken a picture), I smeared the still-hot dough with butter and raspberry jam. To this day, I remember this as being one of the best things in the world I’ve ever eaten. And I didn’t DIE from eating raw dough and made it to Girl Guides!! Hoorah! That’s me as a cool Girl Guide. I’m wearing the striped socks. The first thing I remember eating as a brownie was a hotdog. I remember the brownies and the scouts got together and the boys were given the task of getting our hotdogs for us. I had never had one before in my life. Such a deprived childhood. No pizza. No Chinese. OH!! You were a BROWNIE! You brought back so many little brownie memories I had completely forgotten. Not happy ones, sadly. 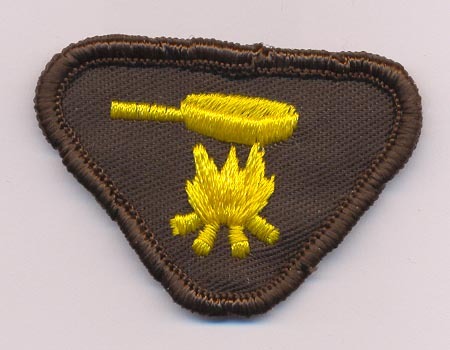 I loved being a brownie and the little gold pin I still cherish. My costume is long gone. Not sure I earned one badge. But maybe one or two. I had great parents, but they didn’t support this “joining” and didn’t support anything I did within the organization. The fall of grade 2 – my first year – I had to collect leaves and make a nature booklet, identifying them all, and I just could not. I tried. I cried. I collected and pressed so many beautiful leaves, and had them all ready to place in my book… but wasn’t allowed to go to the park where there was a greater variety of leaves. I was missing some important leaves, and could not identify them all by myself…. and it was just clear to me I was going to fail. I begged for help… but, then, I just quit as I couldn’t face the failure. Interestingly, one of my daughters achieved her Canadian Chord – and the other stopped after Brownies and just wasn’t interested in going into Guides. Ah, so it is. And bannock… have never made it. Have definitely eaten it, and love the stories of it. And, yes, even the precious bannock has been transformed into an ugly fast food. Fortunately, there are communities that keep the authentic versions alive. I yearn so much to learn more about aboriginal cuisine, and it is just so difficult to access. I always wanted to be a Brownie but I was in CGIT instead. Never heard of bannock as a child but now discovering it. Great story. Just getting around to reading all of the Canadian Food Experience blog posts now! I’ve got to say, I’m loving the mental image of 7 and 8 year old Brownies going off on a Bison hunt! I was never able to be a Brownie, as my family was too poor, but man, I was so jealous of you guys, for all the cool things you got to do! Just noticed that you’re actually IN Edmonton, LOL! Whoops!